Start with the mildest cigar, then work up in power. We have found that in any multiple cigar smoking situation (cigar dinner, Scotch and cigar tasting, Big Smoke, Monday Night Football) it makes the most sense to build in power. Save the mildest smoke for the first, when palates are fresh. Build to the next strongest, then finish with the most powerful. 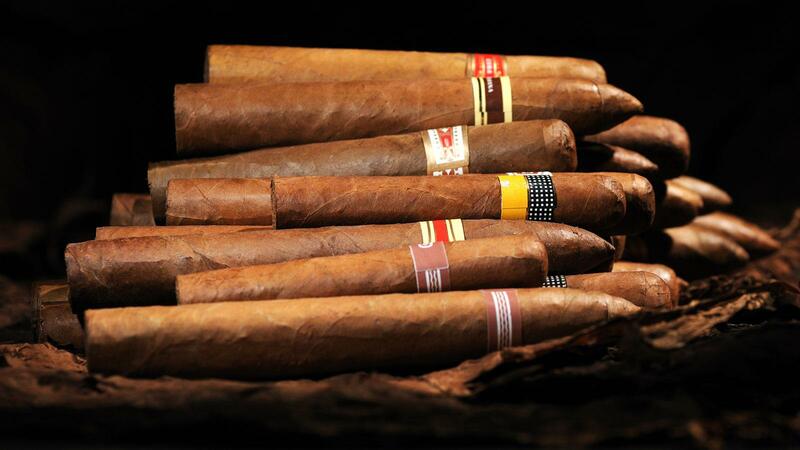 We would suggest no more than three cigars for your evening. With more, it can get a bit chaotic, and hard to enjoy each cigar. You can always provide more, and have people take the extras home. As for starting with "the best"—there’ s no reason why a mild cigar can’t be the best. But you’ll have a better smoking experience if you start mild then get stronger. That way your palate will be best suited to appreciate all the flavors coming its way.